Very few people will get this one. I’ll take any opportunity to see live theater, especially musicals. If someone invites me to see a play, I usually say yes before asking what the play is. Because I don’t much care. Me, in a theater, with magic happening onstage: I’m there. I even enjoy terrible theater, because I can sit and pick apart the poor direction and decide what I would do better, given the chance. There are three kinds of play that make me hesitate: Russian plays and Irish plays I’ve had quite enough of. I get it. In Russia, everyone is miserable and it’s cold and nothing will ever get better. In Ireland, everyone is miserable and there are no potatoes and nothing will ever get better. The third kind? Sondheim. I know that musical theater nerds are supposed to be madly in love with Sondheim, but I just get the feeling he’s working so hard to create something new and different that he just creates atonal crap. Sure, it’s different from what came before, but that’s because what came before was good and pleasant to listen to. And yet, when I had the opportunity to watch Into the Woods this morning, I took it. You couldn’t pay me enough to watch Sweeny Todd. There is no production of that play that I will ever watch, ever again. You can Johnny Depp it up and even throw in an Alan Rickman, and I still won’t do it. But I do love musical theater, and Into the Woods is my second least hated Sondheim, so when I had a chance to see it for free, I took it. 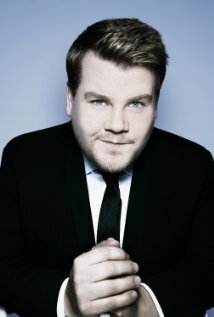 James Corden: I could watch him all day. So this was a particular pleasure for a hybrid nerd such as myself. And that’s why so few people will appreciate it. But frankly, I could watch James Corden fall in love and have babies every day. He’s charming, and handsome, and just a pleasure to watch. And I really hope they called that baby Stormageddon.